Posted August 7, 2009 in Captain America, Tilen. 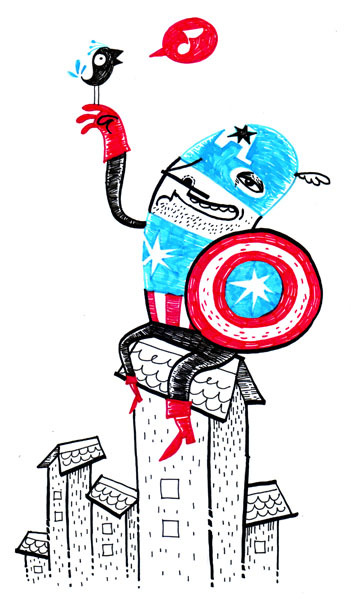 Singapore based Graphic Designer Tilen provides this study of Captain America enjoying some well deserved time-off. This illustration is just one of an on-going project of pen & marker pieces featured at Tilen’s collaborative art blog, Pen, Marker & Magic.